Blind Fire is the sophomore effort from up and coming melodic hard rock band Leverage. This Finnish band is centered around the masterful vocals of Pekka Heino (also a member of Brother Firetribe). This six piece band burst onto the scene in 2006 with the highly acclaimed debut, Tides. Leverage mixes a slight progressive feel with 80's arena rock anthems and a dash of European melodic metal to deliver a winning formula that continues to impress on their second album. Leverage is a band that will instantly appeal to fans of Masterplan and the Allen/Lande albums. The buzz that surrounds vocalist Pekka Heino is certainly well justified. His warm, melodic vocals are well suited for this type of music. Like Jorn Lande, his voice has just a slight raspy quality that makes his delivery very emotional. I also detect a Jimi Jamison (Survivor's second vocalist) quality in Heino's voice as well. Those of you familiar with Brother Firetribe will certainly understand already the talent that this man has. The ten songs on this album would undoubetedly be a lot more ordindary if not for the colorful vocal performance at hand. As for the songs themselves, Leverage follows the Masterplan blueprint very well, but we're not talking about a carbon copy by any stretch. Although I'm really stoked about what the future holds for this band based upon their first two albums, they aren't quite up to the Masterplan or Allen/Lande level yet. The muscianship is classy and first rate all the way, while the lyrics are thoughtful. One notable difference for me is that the melodies take several listens to really sink in. As a result, this isn't the type of album that grasps me from the first listen, with each song refusing to leave my memory any time soon. Instead, after about the eigth or tenth listen, the album just clicked, and I realized what a killer it is. Of course, I love albums that jump on me from the first spin and refuse to let go. However, albums such as this that take a little bit more time seem to have a strong lasting value. With solid musicianship and outstanding vocals backing forming the backbone of these songs, I can tell right now that Blind Fire will provide years of lasting power. 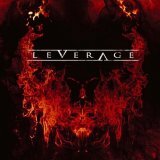 Leverage do a fine job blurring the line between melodic hard rock, melodic hard rock, and non indulgent prog metal. The keyboards are an integral part of the sound, the melodies, and the atmosphere of the album. However, they are not to the point where they could be considered overused. In this respect, Allen/Lande's The Battle comes to mind very fast. The album fluctuates evenly between heavier tracks with a melodic metal edge ala heavier Masterplan, and hard rock tracks. During some of the more restrained tracks, the Jimi Jamison influence in Heino's voice really comes out, thus giving the band a beefed up Survivor sound, if only for a moment. The aforementioned keyboard presence is constant throughout the entire album. Also constant throughout the album is a not so over the top sense of melody. As I touched on before, none of the hooks or chorus lines blew me away immediately, but after many listens, they really start to shine. With Blind Fire, Leverage has establishes themselves as new heavyweights in the melodic hard rock / metal scene. While I wouldn't crown them champs of the genre yet, Blind Fire is poised to become one of the finer releases of this genre in 2008. This is an album that will take a few listens to fully appreciate. Once you allow each of the songs to absorb, you will undoubetedly be giving this album significant listening time for some time. Pekka Heino easily places himself in elite company with Jorn Lande as one of the top vocalists in the genre. With two excellent albums now under their belt, it seems that a steady improvement over their next album or two will elevate Leverage into the "elite" status of the genre.